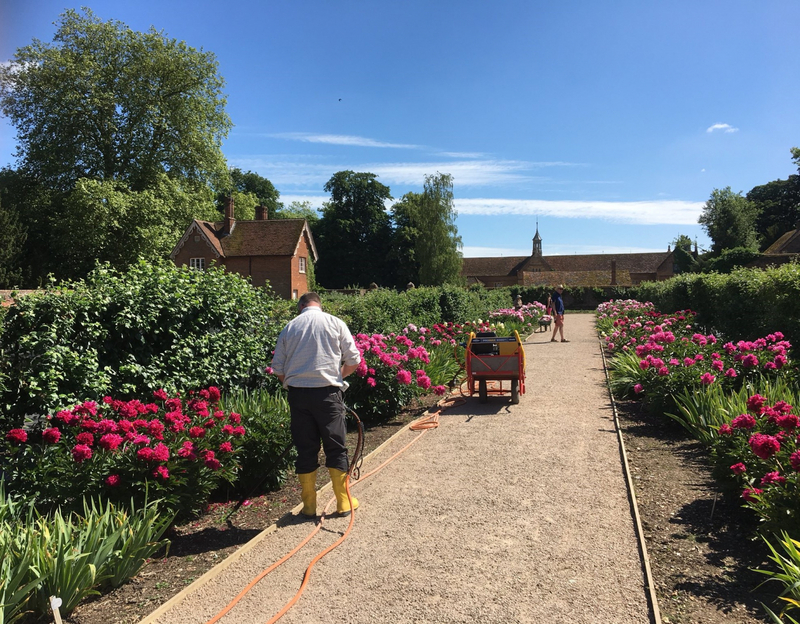 English Heritage are delighted to announce that they are adopting RootWave Pro as the main method of weed control at Audley End House & Gardens after two successful years of trials within the Organic Kitchen Garden. The Kitchen Garden at Audley End House & Gardens is Soil Association certified Organic, and the fruit, herbs and vegetables grown in the garden are sold on site, used in the café and supplied to The Cambridge Organic Food Company. Managing weeds in an organic garden without using chemicals is a major challenge as it typically involves weeding by hand which is extremely labour intensive and often results in roots being left in the ground to regrow. RootWave Pro uses electricity to boil weeds inside out, from the root upwards without disturbing the soil. It is a sustainable and economical solution helping organisations around the world to manage their weeds without chemicals.